One of the joys of leisurely travel is that we can take the time to stop and visit interesting things that we see along the way. On a recent drive to the Outer banks we found Monster Trucks. 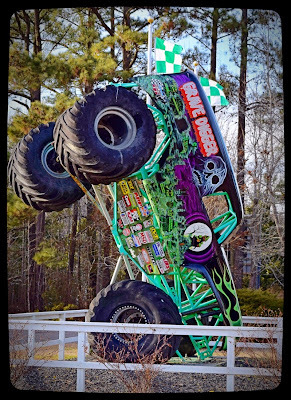 Poplar Branch North Carolina is home to Grave Digger, the most famous Monster Truck of them all. There is a Grave Diggers Diner and a gift shop. 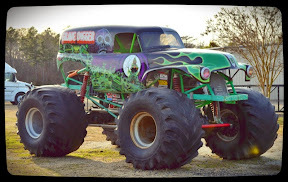 You can even take a ride in the monster truck. The Diner and it's outside attractions will open April 1.